First ever submission - all SSB. Had thought about a sole 10m entry but decided against in the end… that’s why all zone QSO’s are 10m……..M0TTB. Thanks to significantly improved conditions on the higher bands and a new antenna I was able to top last years score……DL4CW. Thanks for sponsoring this great contest! Quite a challenge with my attic antenna……KF0IQ. First time entered, but will be incentive to contact all those DX countries that I have contacted before……..VK4GH. This added a great deal of fun to 2011. I tracked every dx-pedition and made sure to get in their log…….K9CT. Better conditions for a mobile this year. Still like DX the old way, tune and listen. I want to thank you for your extra effort with my entry last year. Wish you had a separate mobile category……..KD5JWC. 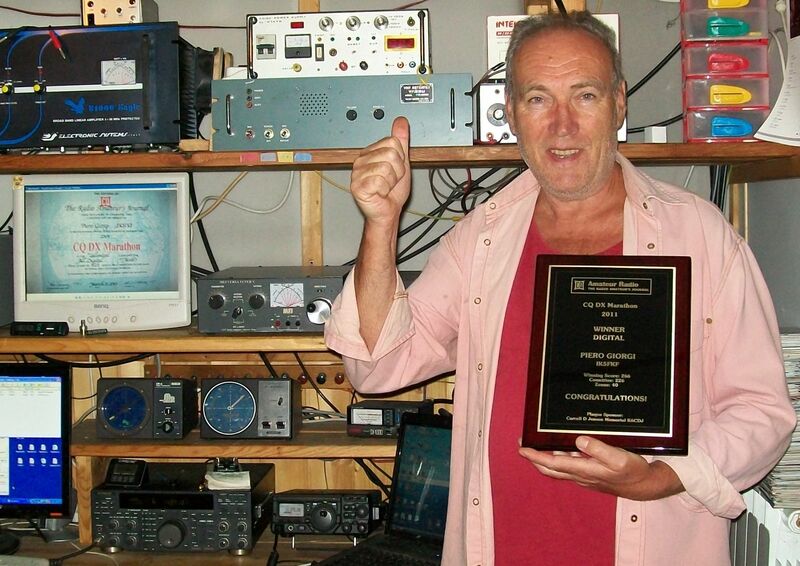 DX Marathon - another activity to keep a retired mind busy……….N4DW. Congratulations on a fantastic concept……VE3KKB. I actually upgraded due to the DX to be found in the Extra portion of the bands and this contest……..N3TD. 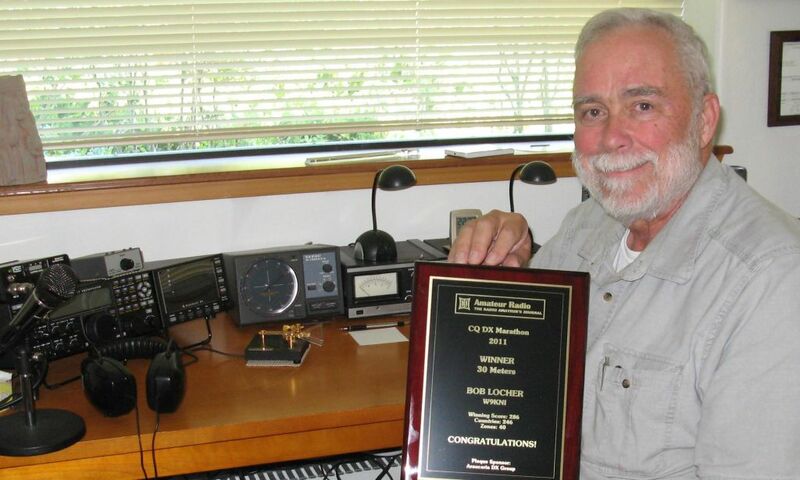 This was my first year back on the air after being off for 22 years, so I’m still learning about the whole new world that is ham radio. The Marathon didn’t exist in those days, but next year I’ll know how things work……AF7S. Thank you for another enjoyable contest. Thanks must also go to Dave AA6YQ, for his DXLab Suite which helped to track in real time the up to date score in the contest. Also to the many hams who persevered with my weak signal, & let me into their shacks, if only for a minute or two, to make a contact. I hope to be able to submit a score next year also, so see you then…….G4MUL. This is the first time I entered the Marathon and it has inspired me to work more DX……DU1GM. Thanks for running such a great award program……NW3H. Great fun seeing the success line increase as the Sunspots increased. Had my best year in the four years I have participated in the Marathon. Great idea!! Same gear same antenna. I'm 88 years old and still have the spark……K6TTT. I surprised myself on the score. But I also missed a few "easy" ones because of dumb luck, not being here to operate, etc. But overall, I expect scores will be relatively high this year ... lots of good activity on the bands, and of course the sun god was helping all of us a LOT!!........K8CQ. I achieved my goal of 200 countries and 40 zones. This year I'll be working RTTY along with SSB so I'm upping my goal to 275 Countries…….W4MJW. This was a lot of fun. All the antennas have been repaired after many years of disrepair. Bought first new rig in 30 years - FTDX5000, which replaced my trusty TR7. Old sol blessed us with great propagation. All contacts made with SSB. 2012 should be even better. Thanks for a great activity…….WB9IWN. I’m sending my log for a single band 160m. In 2011 I worked 155 countries and 37 zones on 160m. I would like to motivate more participants from the Top Band to join the Marathon…..N4IS. I'm pleased to enclose my score sheet for DX Marathon 2011. Again, I used just an indoor attic antenna supplied with 100 watts…...KE4PT. This is my first entry for the DX Marathon so I hope I have entered/submitted all correctly! It was lots of fun and it helped (along with W9KNI’s books!) to turn me from “hunted” into “hunter” hihi!......VK4EI/VK4SWE. It was fun. It will be interesting to see how I do……VP8NO. Nice to work stations for the Marathon in 2011. 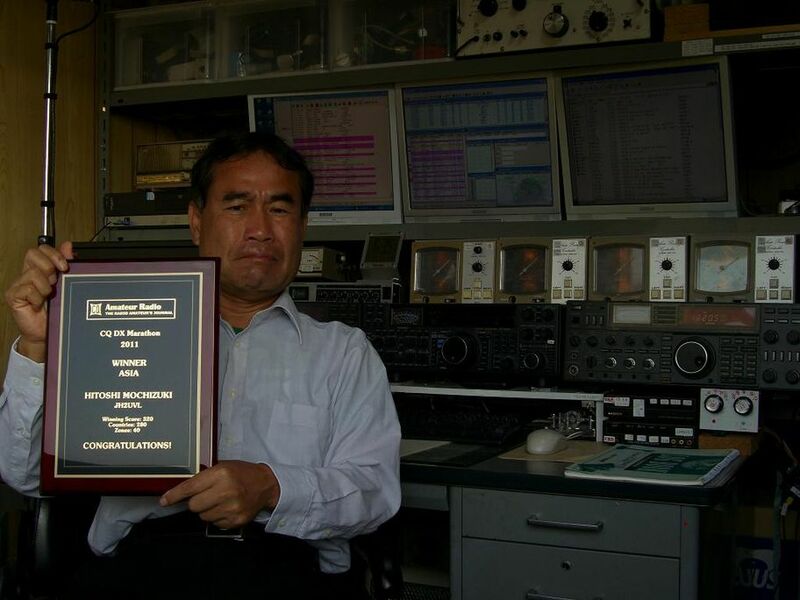 Will also participate again in 2012…..HB9DDZ. All QSOs are worked while mobile operation. I'm enjoying the contest through the year…….JA7OXR/m. Thanks for continuing to make this wonderful activity available for the amateur community…….N8BR. I am really trying to spread the word about the Marathon. A GREAT idea. It really keeps Dxing fun when I have over 300 confirmed. Last year I really struggled (and never succeeded) working 3A2 for the Marathon, that was a lot of fun (like hunting for the elusive big one)…..K3STX. Once again I had fun chasing them but missed some DXpeditions due to out-of-town travel for business/family commitments - such is life! And I missed a few just because propagation wasn't with me and/or the pile-ups would allow my QRP signal to sneak through! All QSOs were worked using 5 watts out (or less) using a tribander at 48 feet and a dipole at 45 feet supported by the same tower (and some convenient trees). It was certainly great to have such good conditions in October and November. If the fall of 2011 was any indication, 2012 should be great (and reminiscent of the "good ol' days")! Thanks again for this very cool event/award. It keeps me active on a weekly basis (when possible) and keeps me from getting complacent…….ND0C. It´s a great pleasure for me to send you my log. I had been QRT for one and a half years after a big thunderstorm destroyed my tower and antennas. Now I have moved to a new QTH and I was able to put my tower and antennas back again in last April. Before that date was using a dipole antenna for 15 meters + tuner with only 100W. Great challenge for me to be back again on the air. Sorry my very low score... but in 2012 I will try to do my best……PY2EL/VA3PWC. Missed several countries early in 2011 due to some health issues, but I hope that's over and 2012 will present the opportunity to work 'em all….W4VQ. Nice Contest……CA3OEV. I only started mid year 2011 when I found the feature built into DXLAB so will make a big effort in 2012……VK3FZ. I was delighted to make this Marathon until the very last, enjoying increasing propagation this year. I just wish all stations could log “/QRP” suffixes when explicitly passed on the air. But that was fun to work all zones and almost 200 DX with such a low power. I’m sure that 40 zones and >+ 200 DX are achievable next time, HI….F8AFC. It was a lot of fun with 10 plus new all-time countries for me…..WP3GW. I installed 8 half wave dipoles in attic. Figured I would be lucky to get out and do a few countries. Now I know at 100 watts these antennas do a good job. The Marathon has done wonders for my operating. Instead of an occasional contact, I am busy all the time……N4RI. My suggestion is to allow all the entrants to participate in 3 classes simultaneously. It is easy for entrant to fill out the application in Unlimited (or Formula) Class choosing QSO’s from the log with preferences of one Mode and one Band at the same time. So, if you have appropriate program you could check all three Classes from one entry (one file). In my opinion in that way the motivation for participants would be much higher at the finish of such a long race……UX1UA/UV5U. Thanks for the event. It was fun….N4NQ. What a difference in propagation from the beginning of the year to the end! Early on in the year it was tough when SA was working VP8DMH on his one day stay to VP8/KGI and we could not hear him in the northern latitudes! I missed the couple of Kosovo stations that were on briefly during the year. [Editor Note: There was no Kosovo activity in 2011] My highlight of the year was when FT5XA showed up for one day from Kerguelen and I worked him on the long path! Woo Hoo! I think my scoresheet shows that even a W0 in the "RF Black Hole" of Minnesota can put up a decent score in the CQ Marathon……NY0V. I focused on 15m this year, with the hopes of earning DXCC on 15m. It was neat to see the band open up and be able to meet my goal. Perhaps good enough to earn another single band top honors! Had a Great Time!………W9KVR. 2011 was my best year since 2000…..W6HYK. This time I am submitting only my 6m score…..9A5CW. 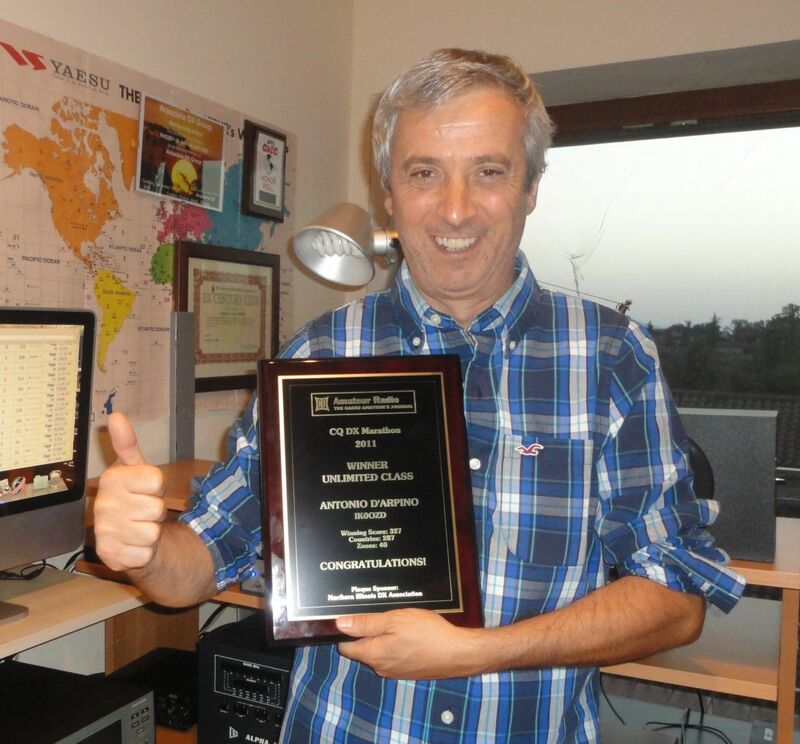 It's been a good time and a lot of DXCC entities activated during 2011…...A65CA. First licensed in December 2010; first contacts on HF were in April. Submitting as Unlimited as my antennas are a couple of feet too long, and might be just over the 60' altitude limit…..AB1OD. It was a very good year!......AD1C. I congratulate the organizers - new categories will certainly increase the number of participants. My motto is CW forever…….E77O. My first DX Marathon and an interesting experience. I had hoped to work 200 countries, as I had done in my first year mobiling in 2001, but between conditions still not being quite as good as then, and a bit more restricted operating time, it was not to be. But still, I was quite happy with the result. If I had worked some of the big contests from my own station I’m sure the total would have been better, having worked a number of countries not on my final list and the elusive zone 2 from there. One thing that really surprised me was the amount of DX I was able to work on 40m, very positive experience. Thanks to CQ for organizing this fun event!......EA5ON. First time – great fun, but missed 5 countries on the last day and forgot to QSO the extra EU countries!......G3KMQ. Had great fun with my 5 watts. Conditions have been very good to fair – great to have 10/12M open this time……G3LHJ. Had intended doing an All Band/All Mode entry but lost too much time during September so decided to put in a half decent RTTY score……..G3LZQ. 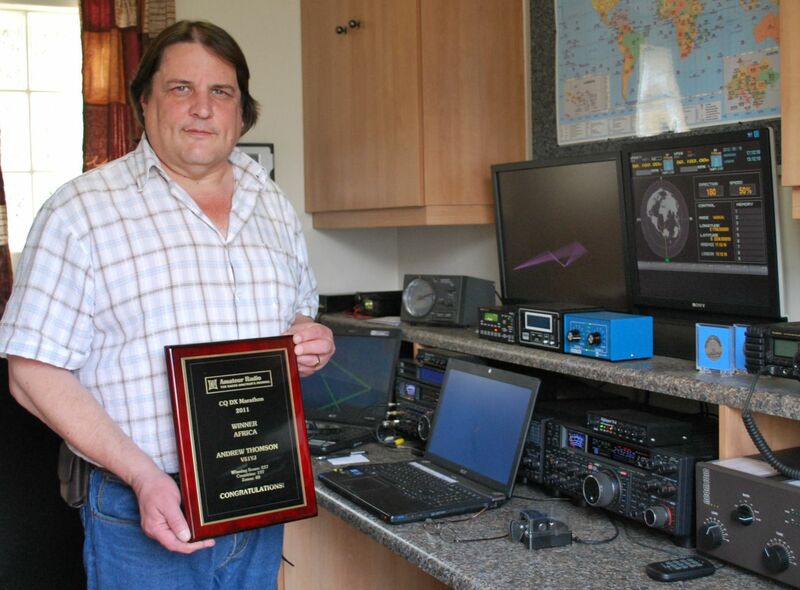 Very pleased to get a certificate for my efforts last year, and enjoyed the challenge from my small antennas & limited space…….G4PTJ. This is a new contest for me. I only discovered the web site on the 1st of January 2012. I think this is a very good idea. I look forward to hearing the results…..GI4SJQ. I'm just using an old Ten Tec Argosy with 20W on 10, 15 & 20, 30W on 30 & 40 and 40W on 80. I am constantly amazed what can be done with such a simple set-up from a built-up urban location…...GM0OAA. I'm sorry so much that I didn't know about the Marathon on 1st of January 2011. I missed several entities when I heard them because I had QSO/QSLs from them from the previous years…….HA0HW. My best result ever, but will do better in 2012. Thanks for the great fun……IK2DJV. I participated in the category "DIGITAL ONLY". The best propagation conditions have allowed me to greatly increase the number of DXCC entities connected: 186 in 2009, 193 in 2010, 226 this year 2011. With this marathon I spent a whole year in competition……IK5FKF. This year I want try only digital mode and zone 2 is very rare….IK5PWQ. My best result in 5 years, thanks to the increased sun activity. Score could be even better: I missed a couple of countries just by a few minutes……IW0HOU. 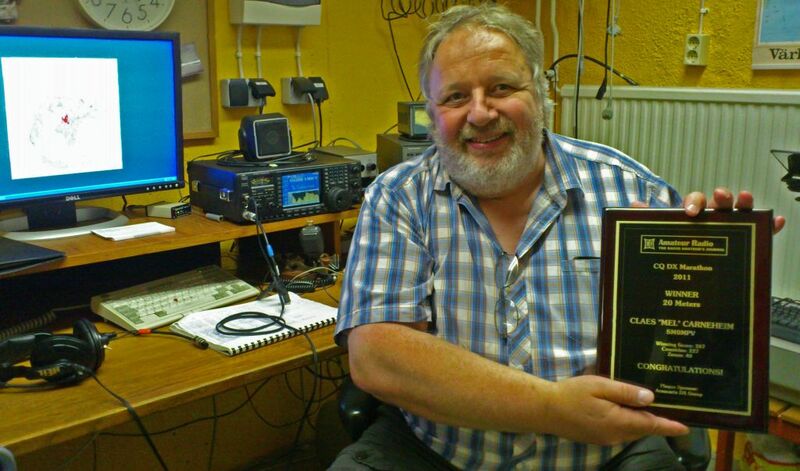 Thanks to all, I enjoyed the QSOs throughout the year as the conditions were very good in 2011…..JA3EOP. All QSOs were worked while operating mobile. I'm enjoying the contest throughout the year…..JA7OXR. Lots of fun throughout the year……K0FX. Great fun! This was my first Marathon and it sure beats spending the year waiting for an all-time new country to show up. After a fast and furious first few months, things slowed considerably. But, there were some active months that followed. After a great November, December was a bust. I finished the year much better than I would have guessed and pushed the limit of my equipment and antennas. My 500 watts and wires up 80 feet won't bust any records in the unlimited category, but it made for the most DXing fun in many years…….K1ESE. Why do we have to use this official form. Why can't a form like the one generated by DXLabs be submitted as is?.......K2SX. All CW. Just could not get that #260. Oh well that is why they make a next year…….K2UF. I had a GREAT time in the Marathon, it kept DXing fun. My entry is all CW. I only heard 4 entities that I did not work, don't know if I can do much better than this……K3STX. As a new ticket in 2011, Tech in April, General in June and Extra in November; I am pleased to have scored this well since I didn't have an HF rig until mid-July and recorded my first DX contact on Jul 23, 2011……K4WSW. Had fun again. Third year I have enjoyed improving my previous scores. Looking forward to 2012…..K6LE. Great activity generator what a concept. Great fun. CU in 2012…..K6XT. This is my best year yet since your inaugral year of the contest. I only wish I could have snagged a few more of the DXpeditions that would have given me two more zones and few new ones for DXCC. In any event, the new ones I did work took me over 300 DXCC worked and 292 confirmed on all bands -- not bad with my very modest antenna farm and less than ideal operating restrictions. I still have fun, and breaking the pile ups can often give me more of a thrill than my first Novice contacts in 1958. My score for CW ONLY was 263; Digital ONLY was 95. Having the PSK and JT65 modes added to the fun. And highest score on ONE Band was 159 on 40 meters. Looking forward to 2012, although my effort may be more limited because of other commitments…..K8CQ. This was a very fun experience. Ran my Elecraft K3 at 5 watts output for all contacts. Didn't really use a lot of contests to find contacts as I seemed to be gone from home for most of them. Mostly just casual operating when time permitted. Thanks for putting this on……K8NWD. First time I've entered the Marathon and had a lot of fun chasing "new old ones". A lot of action this year with the excellent 10 and 12 meter conditions. Thank you for your efforts…...K9NU. This is my first ever entry in the Marathon. Thanks for sponsoring it…….KG5VK. What an exciting year. 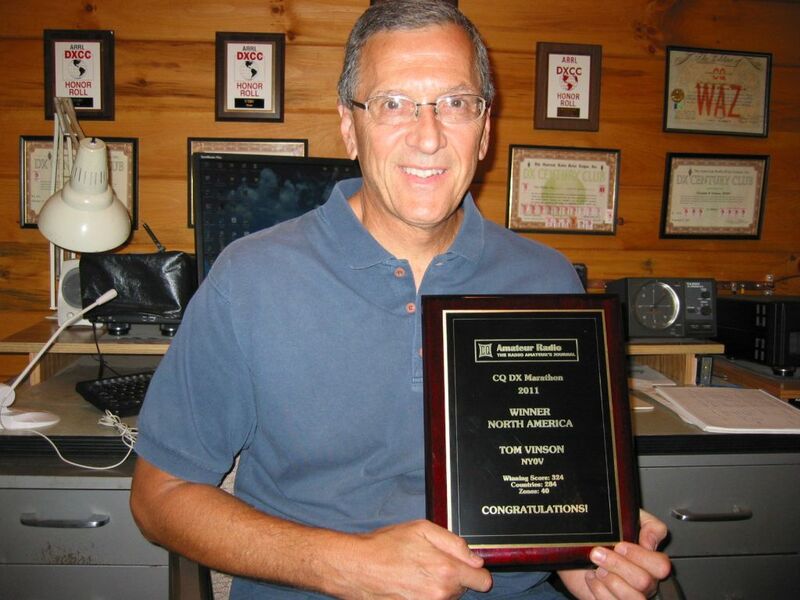 The 2011 CQ WW Phone contest was very exciting and provided me with a good score…..KJ4QDZ. It was nice to take part one more time on the DX Marathon, this year I entered CW only, and I really enjoyed it…..LU3JVO. Great fun and my 2nd year. At last after 58 years as a ham I have weaned myself from ARRL logbooks and now am tracking Marathon etc. from 10/1/2011 with DXLABS Suites. I let a few get away in 2011 and hope less get away this year! Great job gentlemen!.......N0KE. Had a great time seeing what 5 watts & wire antennas could do. Took lots of persistence & patience, but surpassed my original goal and contacted 180 countries & 36 zones……N3CU. CW Only. This is my first contest and it was fun. It got a lot more fun in September when the sun spots increased and 10 Meters opened up. I am definitely going to keep playing in these events. Thank you CQ…….N4NQ. I found no stations active from Zone 2 in spite of being active in all major DX contests (CQWW, ARRL DX etc) it was a disappointment not to work all zones. No special efforts were made to seek out any missing countries or zone - those worked are a result of my usual operating both contesting and almost daily operating…..N4NW. Didn't think about Marathon until I saw article in December CQ. Herewith casual operating score from about 700 *total* QSOs in 2011. Barefoot in the 'burbs, only got my (low) TH3 tribander back up in October, other antenna is the trusty Butternut vertical. 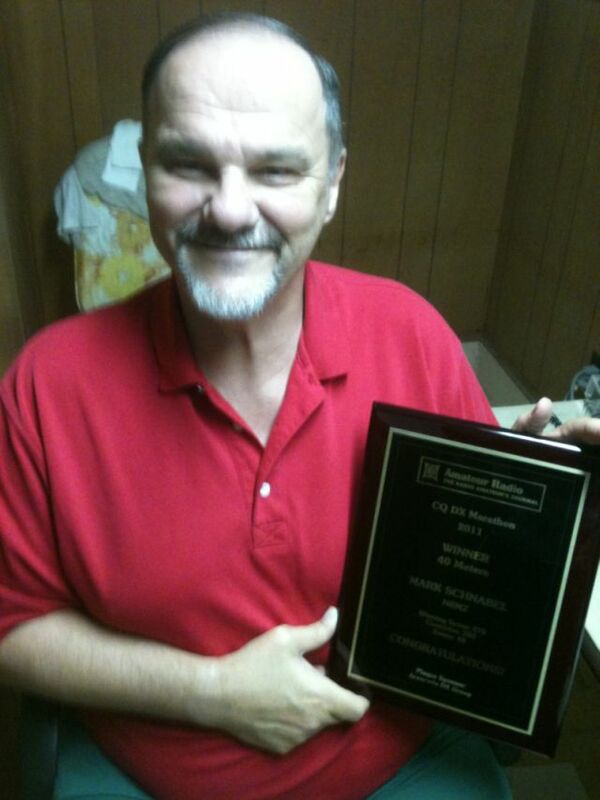 Special tnx to AD1C for all his work on the utilities……N5PG. This competition should be open to a participant in as many mode categories as he chooses, not limited to one choice. The fact is that they are separate competitions and should be treated as such. 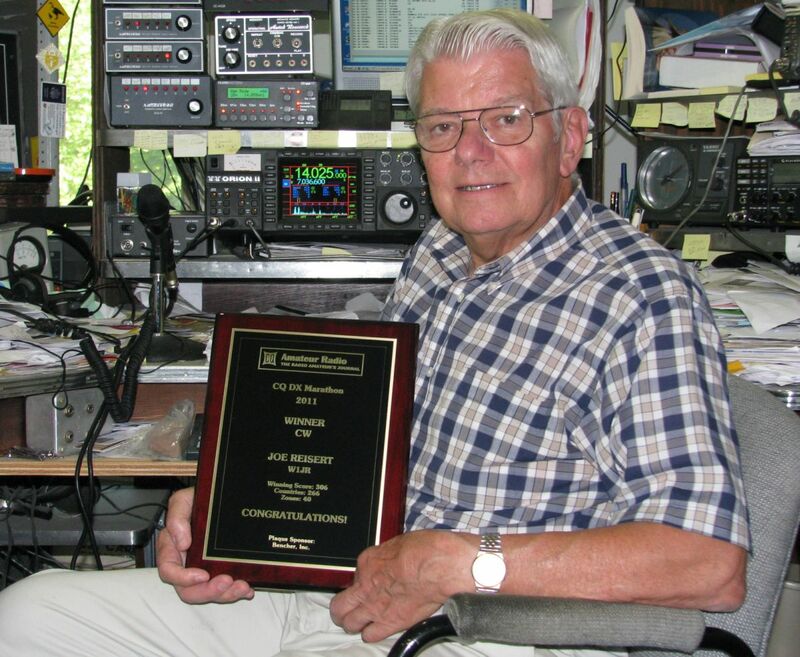 There is no relation between a CW entry or a RTTY entry or a SSB entry. The Mixed category is just that, a mixture of all the modes…..N6AR. Wow! With 10 and 12 meters alive again the whole game has changed. Why not develop a Marathon category for band countries and zones?.....N8BR. Once again, I did not set out to compete so missed some 2010 carry over entities by not working them again in 2011. Still, my activity level was high all year and we managed to work lots of DX. Sure could have used that FT/X station that showed for a few minutes on 20 meters for an all time new confirmation……N8RR. Lots of Fun!!!!!!.......NU8Z. So TNX for long contest hi hi. Condx during all year were better and better but now they have gone down again. I hope to be on next year…..OK1BA. Will be back in 2012…..ON4ON. My first participation in the Marathon. Very difficult to use low power and simple antennas. Modern technologies, such as the skimmer and the cluster, making the possibility of low power even more difficult…….UT9FJ. Less than a week's worth of operating and the CQWW CW contest. Not too shabby considering we had no 160M antenna and the 80M antenna had problems. The amp failed early in the contest so most of this is actually low power……V31AO. Only played a little while I was getting station set up again after 4 years. Had fun! Should do a lot better next year!....VA7ZT. Definitely brought the fun back to Dxing. Then, I get to do it all over again next year. Great idea!!.....VE3KKB. All digital. Thank you for running this operating challenge…..VE4KZ. Hoping 2012 is better, but improved on 2010. Only 100W and 3 element beam……VK2MWG. A great year for DX, and the DX Marathon added an extra bit of incentive to work it. Thanks for sponsoring this award……VK3HJ. Having moved into a rented (No Antennas) house for a while but not wanting to stop my hobby, I used a very comprised antenna consisting of a 20’ ground mounted wire vertical mounted against the house with radials just lying on the lawn fed with ladder line to an ATU and low power. Surprised and happy with what ended up in the log for this year. Would like to thank the sun for the spots, the inventers of all the digital modes, which really add to what a little guy can work. And a big thank you to the CQ DX Marathon for providing a reason to turn on the rig……..VK4BL. This was my first entry in the DX Marathon. It was hard work at times but I had a couple of friends helping with advice and encouragement so all went OK……..VK4CC. First time in the Marathon, most entertaining. Set a target of 250 points and comfortably exceeded it despite not attacking it full on…..VP8NO. Glad to break last year's score without much regular activity - says a lot for the improved conditions - maybe more next year…….VU2PTT. Always fun. Considering I didn't pay attention until December, my total is only four shy of last year--when I really worked at it!......W1EBI. Good idea. It kept me going during the year and I will be trying again in 2012……W2LK. It was great to have 10 and 12 meters as open as they were. Improved conditions resulted in my best score since the Marathon started. My thanks to the organizers…..W4CU. Only operated 10 months this year and then only decided to chase the Marathon after the ST0R expedition in July. Even the countries worked before July were worked again in the last 5 months of the year……W4DXX. This was my first year to try this activity. It was really fun, like starting all over in working for DXCC with lots of entities and zones to chase….W4NZC. Another great year of fun and a real stimulus to get on the air. My first submission was 2009, and I have increased my score each year thereafter. Hopefully these are all good and no deductions…..W4QN. Getting the data into this form was a lot harder than working the entities -- and a whole lot LESS fun! Software engineers and other 'retentives' must be the only ones happy about this. I lost a couple entities to pirates -- I hope I never meet one of them……W4VIC. 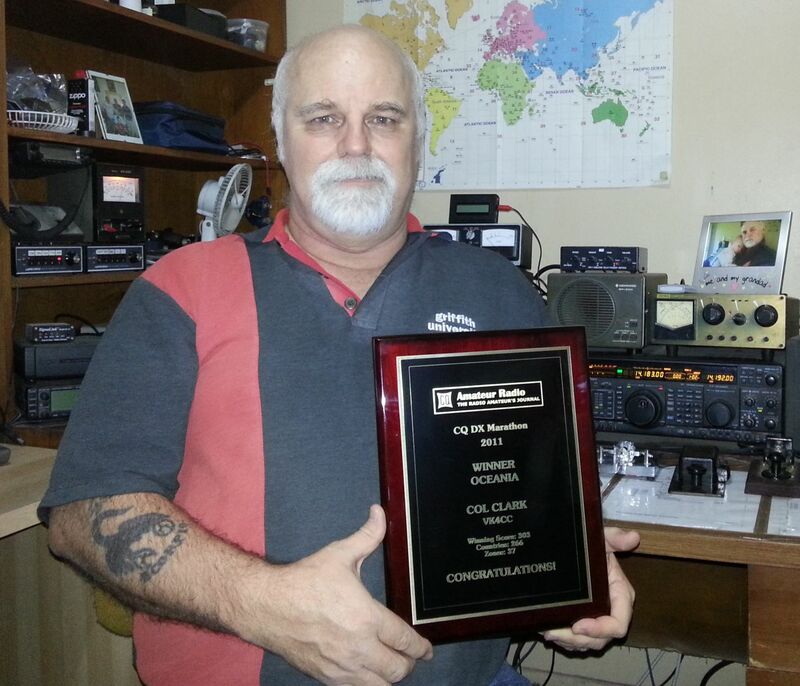 Returned to amateur radio in November after a 30 year absence. Hopefully my results for next year will be better……W7JSD. Score is for 30 meters monoband. Another year of fun! And going monoband lowered the pressure. 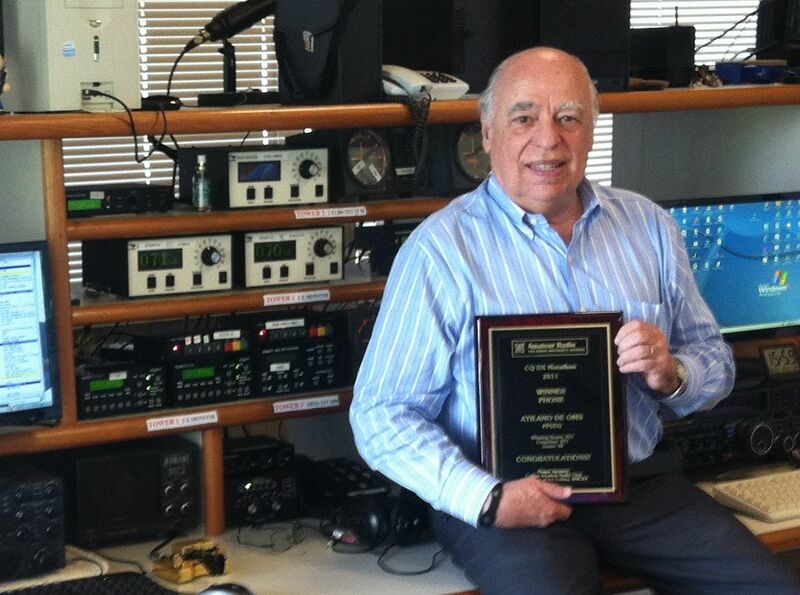 Thanks for running a great DX Operating program…..W9KNI. 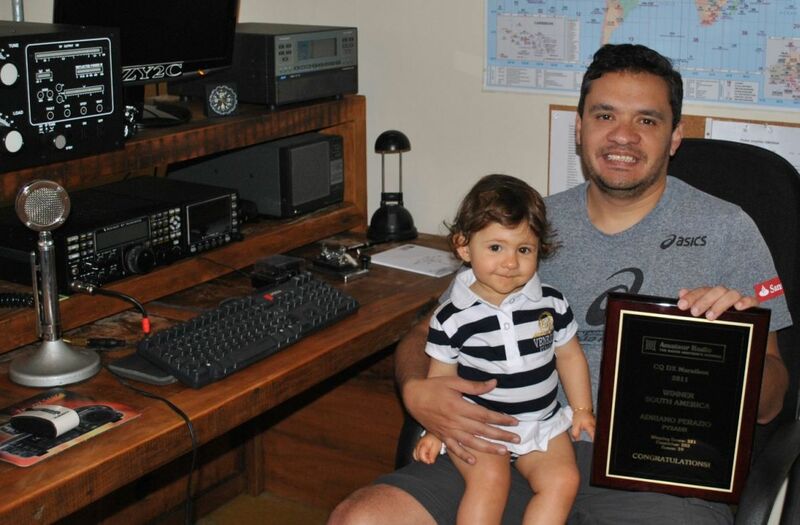 I had a great time focusing on 15m this year and was able to meet my goal of DXCC on a new band…..W9KVR. Had a great time. Not a winning score (or even in the ballpark), but for a little pistol I did enjoy the challenge. Thanks……W9MJ. Really enjoyed working on this during the past year missed a few as I was out of state for a couple weeks at a time. CQ contests and awards are always great fun to work towards. Hope to do better in 2012…..WA4JQS. Enjoyed the chase this year. Nice way to stay active. See you in 2012…..WA5VGI. Wow…didn't realize I worked DXCC plus almost all 40 zones until I checked the log…not bad for 100W and a dipole!.........WB4OMM. There were several DXpeditions and a new entity that made things interesting. Considering the time I could spend on the radio, this was my best effort. I hope to get over 250 countries in 2012…..WB4YDL. It's always a challenge to work 40 CQ zones. I'm close but still have some to go. My overall DXCC list is growing, worked 176, confirmed 144. Amazing on how long it takes to work them and even more to get a confirmation from them. This is more like a Life Long DX MARATHON. Thanks for all the contacts and BEST 73, cu on the bands……WB9TFH. Incredible propagation on the last 2 months! Ten meters was a blast and even worked 10 new countries and a new Zone (24). Hope to make 200 entities for next year!.....WP3GW. Nice year DX-wise. Good propagation helps a lot even if not a lot of spare time for radio. Great fun anyway!....XV4Y. Glad to enter again this year. It was a bit hard because my work left me little spare time to increase my DX score. A bit lower than last year. I hope 2012 will be better……YV6BXN. Glad to have made an entry at all this time: have been ultra-busy at work, hence not nearly as QRV as I would like. Excellent high-band condx made all the difference……ZL2IFB. 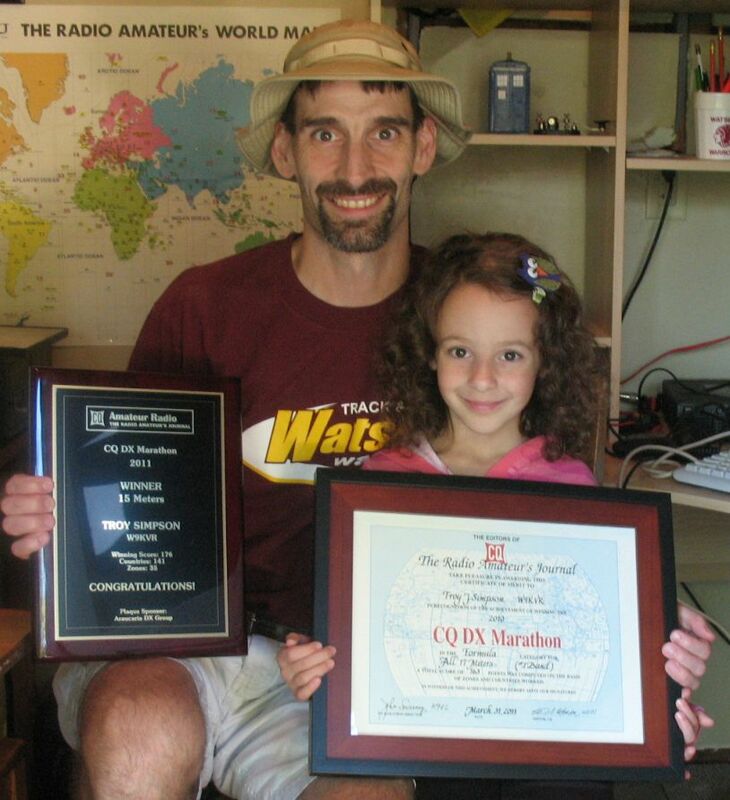 The Marathon keeps me DX-ing year round a great contest….N1AM.